Photos courtesy of Nicole Pothier. Walking around Prague, the capital of the Czech Republic, it’s obvious this city is anything but ordinary. 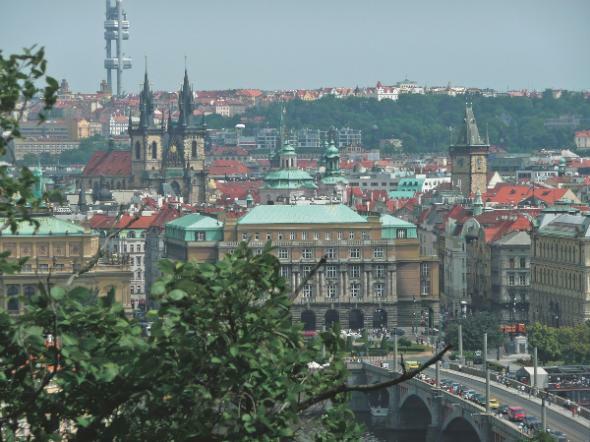 From cobblestone streets to towering Gothic spires, Prague’s beauty is a feast for the eyes. Above all, Prague is a city made for walking, where getting lost is half the fun. Every turn of the corner offers a new piece of history, and every step brings you closer to another amazing monument. Whether visiting for 5 days or 10, don’t miss exploring the following sights! Prague’s Old Town Square is undoubtedly one of the most beautiful town squares in all of Europe. The colorful and beautifully decorated buildings lining the Square hardly seem real; instead, they resemble the backdrop of a Hollywood stage with the tourists serving as actors. 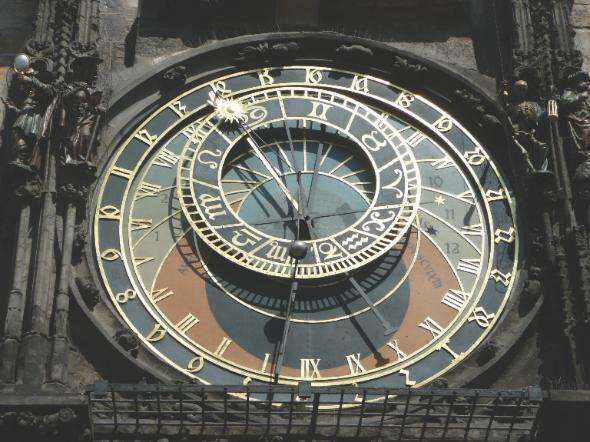 In the center of the square is the Astronomical Clock. Every hour, crowds gather around to watch the show where statues of the apostles dance across tiny doorways and a trumpet player in the clock tower chimes in a new hour. Also in the Square is the Church of Our Lady Before Týn, its Gothic steeples dominating the scenery, and not far away is the Powder Tower, which derived its named from the gunpowder first stored there when it served as one of the original entrances to Old Town. The best way to reach Prague Castle is by foot. Start at Old Town Square and head toward the river, then cross at the famous Charles Bridge and follow the long, winding cobblestone road up the hill. Prague Castle is a complex of different buildings and cathedrals, all displaying stunning examples of Gothic architecture, beautiful rose windows and stained glass. While there, visit St. Vitus Cathedral and the St. Wenceslas Chapel, which holds the Czech crown jewels. Prague Castle is also one of the best places to enjoy panoramic views of the city. It will be hard to find a more beautiful bridge anywhere else in the world. Charles Bridge is a stone Gothic bridge spanning the Vltava River. Commissioned by Czech King Charles IV, the bridge is decorated with many Baroque statues, one of the most famous being that of St. John of Nepomuk. Tradition says touching the statue gives you good luck and guarantees your return to Prague. Charles Bridge is also known for its popularity with artists, musicians and entertainers. Don’t get too distracted, though; make sure to look up once in a while to enjoy a breathtaking view of Prague Castle. This special wall is hidden away in the streets of Prague. 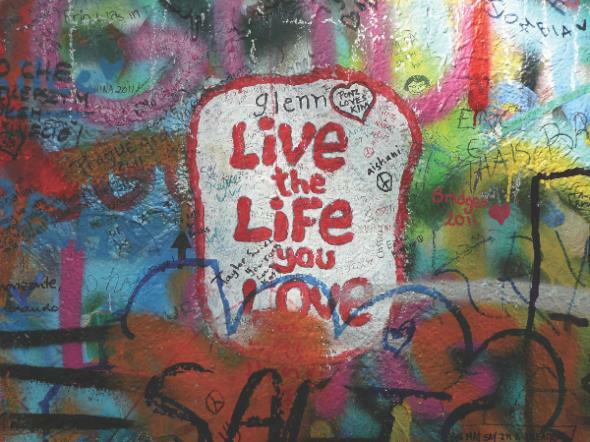 Once a thorn in the paw of the communists in the ’80s, the John Lennon Wall now serves as a symbol of peace and love. The wall is continuously changing, but is always dominated by John Lennon-inspired graffiti. This may be one of the only places in Prague where you are not only allowed, but encouraged to tag a piece and leave your mark.